We spend a third of our lives in bed, on average, around 200,000 hours. Every night we lose on average almost 40 cl of water per person. 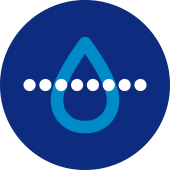 For a couple, this amounts to around 300 litres of water per year. We also use our beds for other activities such as reading, work, resting during the day and they are also sometimes used by our pets. 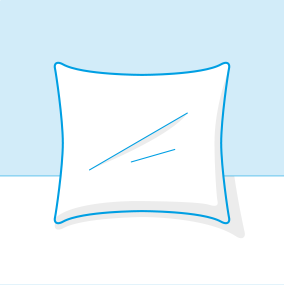 Under these circumstances, mattresses can quickly become breeding grounds for bacteria and favour the proliferation of dust mites. 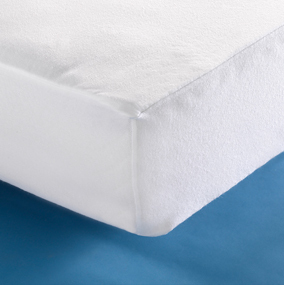 For added comfort, it is essential to use a mattress protector to maintain hygiene and avoid soiling and wear..
Jersey is a very comfortable, supple, light and hard wearing fine knitted fabric with excellent mono-elastic stretch properties. It can be made from cotton, organic cotton, polyester/cotton blends, polyester, Tencel Lyocell®. Terry Cloth is a knitted fabric with a combination of two threads: one, polyester, for the background (warp), and the other for the loop (weft), with different sizes of loop. It is a comfortable, soft fabric, highly absorbent because of its loops and allows a good amount of airflow. It is available in various weights in bamboo viscose and organic cotton. Flanelette is a woven fabric made of two cotton threads and is much appreciated for being extremely soft, very pleasing to the touch and ideal in winter for its warmth. It is available in organic cotton in a variety of weights. 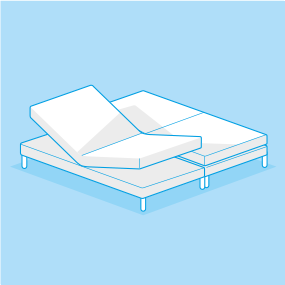 The waterproof layer forms a perfect barrier, protecting the mattress against moisture, and is an extremely effective barrier against allergens (dust mites, microbes, bedbugs). It is permeable to air and steam, and is also extremely breathable when laminated or polyurethane coated. For the best in bedding hygiene ! Coating (better product durability and ideal for intensive high-temperature washes). 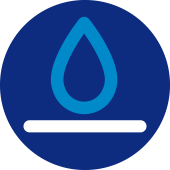 Polyvinyl chloride (PVC): waterproof, but non-breathable. Polyurethane: waterproof, micro-breathable, light, ecological, silent, solid, stretchy, recyclable, sustainable, better level of comfort. Traditional absorbent Terry Cloth mattress protector and ultra-absorbent Thick Flannelette protector. 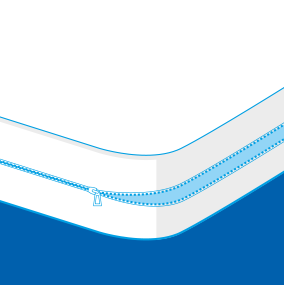 Absorbent mattress protectors can be sanforised to stabilise shrinkage during washing. 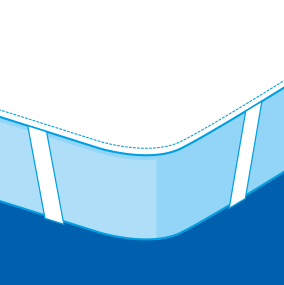 Simply covers the bed and is attached under each of the 4 corners of the mattress by elastic. Finished with hemmed edges. 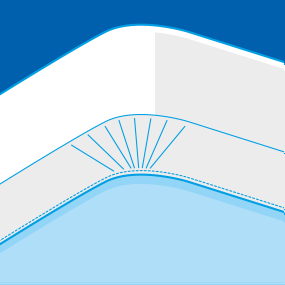 The fitted sheet model is the most popular finish for mattress protection and is ideal as it is easy to care for. 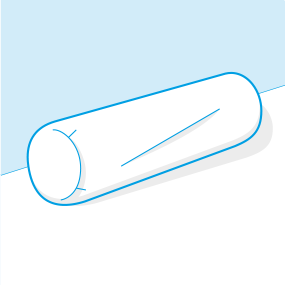 Cotton Jersey or stretch polyester elasticated skirts ensure the best possible fit for the mattress, keep it securely in place, allow air to flow and are suitable for different heights of mattress. They are available in several different finishes and weights. Quality of the skirts is identical to that of the fitted sheet. 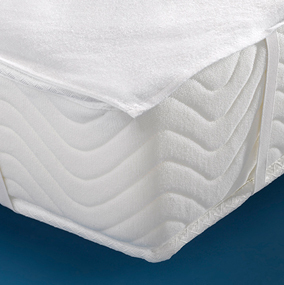 Currently used for absorbent models that can be adapted to a single height of mattress. The fully encased mattress protector enables the entire mattress to be protected and covered and is the best solution in providing comprehensive protection against dust mites and bacteria: Light, durable and extremely resistant.ight, durable and extremely resistant. Available in two finishes, envelope model or ZIP model for the pillow protector and with elasticated corners for the bolster protector. 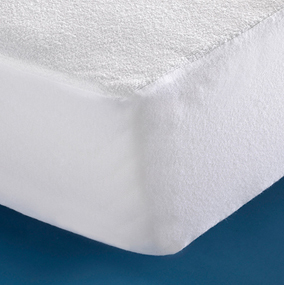 We also make mattress protectors for head-articulation mattresses and head-and-foot-articulation mattresses.